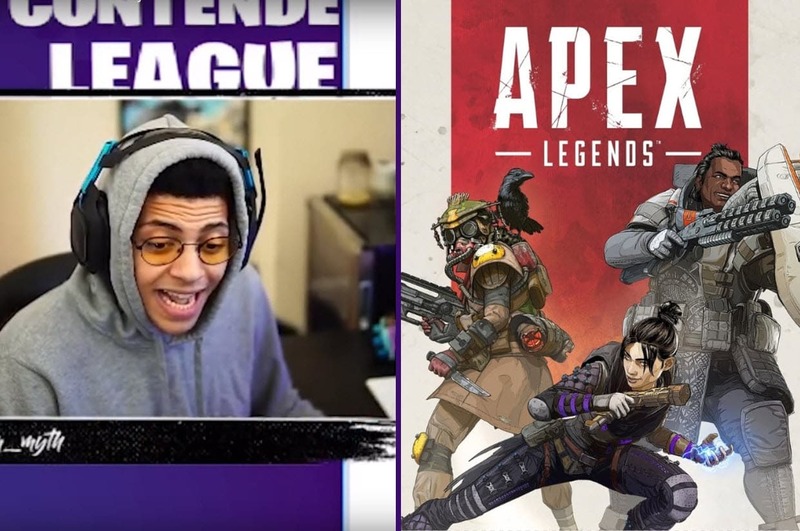 Professional Fortnite Player TSM Myth shared his views on Apex Legends. What did he think about the new Battle Royale game? During one of Myth’s Fortnite streams, he got into the discussion about Apex Legends. He asked his viewers why would people want to play Apex Legends if Fortnite was out? He continued, saying “what is it about Apex that the game just feels good?“. One viewer commented saying “no planes”, referring to the planes that some gamers find annoying in Fortnite. Myth agreed, saying that people are tired of Fortnite. Another viewer wrote “no fall damage“, which Myth said is one of the reasons why he tried the game. Myth starting getting a bunch of replies from users in his chat. A lot of the replies had good points, so he decided to go ahead and write them down on MSpaint. TSM Myth said that the game is “super casual friendly”. He was referring to the fact that you didn’t have to build anything in the game unlike Fortnite, which requires you to harvest items and collect materials like wood and metal pieces. In Myth’s opinion, Fortnite players loved this concept and “ate it up”, which is why they went to try Apex Legends. He said that Apex Legends was also the first battle royale game to incorporate the hero system properly. Apex Legends introduced eight heroes when the game first launched. Two of which needed to either be bought with Apex coins or Apex tokens. The game has also released a new character in their first Season 1 release making it nine. They are the first BR game to introduce a proper hero system, each having special abilities. On top of listing the good reasons why players switched to Apex Legends, he also mentioned reasons why people were getting tired of Fortnite. Although Myth mentioned some bad reasons with Fortnite, he did finish off saying the mechanics of Fortnite was better than Apex Legends, showing a difference of arms length. Interestingly enough, TSM Myth’s entire image is surrounded by Fortnite Battle Royale, and it’s what all of his Twitch followers watch him play. He hasn’t stopped playing Fortnite at all and has continued to play the game despite the strong release of Apex Legends. But will there be a Battle Royale game that will make both players from Fortnite and Apex switch games for good? Only time will tell.